David Kranz is the founder and CEO of Reshape Wealth. Prior to forming Reshape, David was Vice President and Senior Financial Advisor at Merrill Lynch, managing wealth for private clients at the largest financial institutions in New York City for ten years. With an entrepreneur’s mindset, David launched Gatorfood.com from his bedroom at 19 years old. Gatorfood.com was an early online-to-offline restaurant delivery company, one of the first in the world to leverage cloud based technology to meet the intense demands of hungry customers throughout the city. While operating Gatorfood, David simultaneously founded his second company, Welcome Magazine, a tourist-oriented publication where he negotiated exclusive distribution rights in both local and national hotel chains. David sold the publication at 26, then, two years later, successfully sold Gatorfood.com whose platform continues to grow and be an industry leader today. After selling two businesses, David was disappointed by the experts he hired to manage his wealth and frustrated by the investment strategies that continually underperformed. 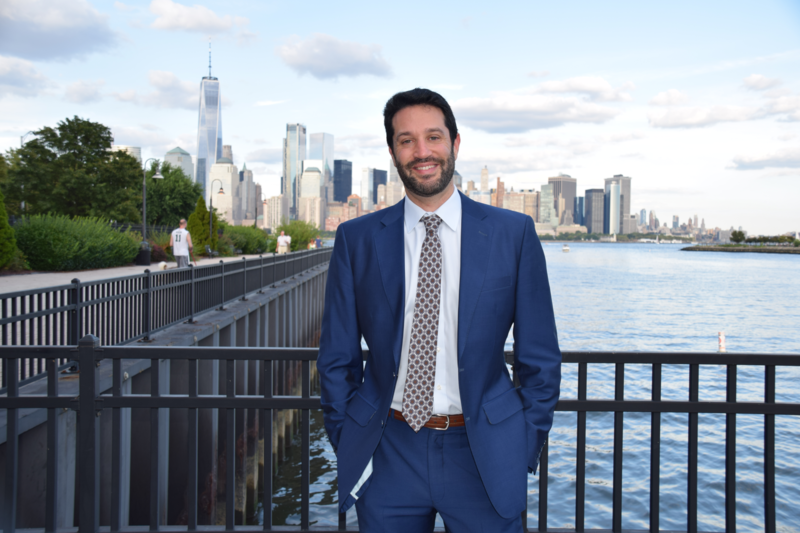 Driven by the goal of creating a better way to manage wealth and make money off of his years of hard work, David earned an MBA in Corporate Finance and business strategy from NYU Stern, and earned his Certified Financial Planner certification. After nearly a decade of advising clients at the highest levels and frustrated by the opportunities he saw that he felt would never be adopted David created Reshape as a fee-based independent firm to limit the restrictions placed on his private clients and manage money more dynamically and thoughtfully than before. I believe people have the right to be wealthy and create their own futures. I created Reshape Wealth as a private company with the goal of providing access to “the best of the best” investment opportunities, individuals and technologies for my clients. Reshape is the answer to what clients have been asking for: to provide the 21st century approach to financial planning and wealth management to safely manage portfolios and increase the value of their assets for long-term wealth and cash-flow. As an independent firm, Reshape can leverage technology platforms to achieve greater efficiencies and make use of the best investment strategies offered throughout the world to deliver more opportunities to clients. We continue to grow our network of financial advisors, money managers, leading economists and tax experts to establish strategic partnerships and enhance our abilities to offer superior advice. I work with top minds in money management, advisory and economics to deliver customized financial planning strategies and investment access that match our client’s financial goals. Reshape researches, tests, and incorporates technologies throughout the world for the benefit of our clients. We focus on adopting top technologies that enhance our client’s investment portfolios, anticipate market fluctuations, reduce costs, minimize taxes, and provide total transparency. We developed Tax Harvesting portfolios to provide our clients with access to more efficient and cost effective returns. Our mobile technology and real-time statements helps provide total transparency and accountability.